Welcome back to Monday Motivation! New cushion covers always seem to be needed! Change of season, kids, holidays or company coming are all reasons to be inspired to create a new look in your home. This week I was inspired by a free Dresden Plate Tutorial featured on Sew Mama Sew. It was easy to round up some gorgeous Moda Fabrics to make this 16 inch Dresden Plate! I was able to have this cover completed from start to finish in just a few hours. For the simple envelope pillow, I went to my favorite, never fail, tutorial by Julie from Jaybird Quilts also featured on Sew Mama Sew! 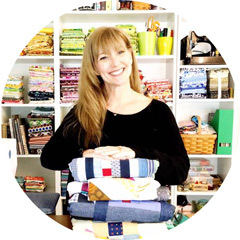 This free tutorial features everything you need to make and complete a basic pillow with many sizes included for all of your pillow needs! To piece the Dresden pieces I used Aurifil 50wt. For construction of the pillow I used Aurifil 40wt. It is a heavier (thicker) thread and better for items that will have more use. The cushions in my house have to withstand three kids ranging in ages 25 all the way down to 8! I also had time to whip up this adorable pincushion basket with the hexagons made during last week's WIP Wednesday no screen time during a doctor's visit. This seemed to be a wonderful way to pass the time. I will be trying it again. If you need more options for covers, here is a round up of a few other cushions covers made using free patterns I have made over the past few years! 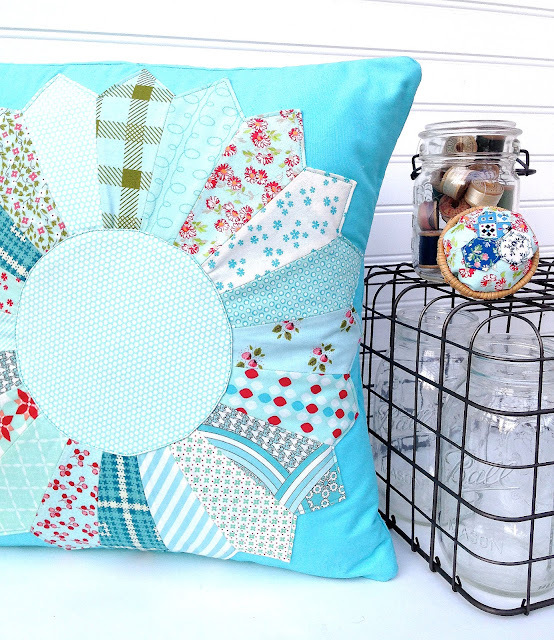 The Sprocket Pillow with a free tutorial from Cluck Cluck Sew is a beautiful cover that is easy to sew and great for beginners! My favorite pillow ever is this one using the free Costal Cruiser pattern by Tula Pink. 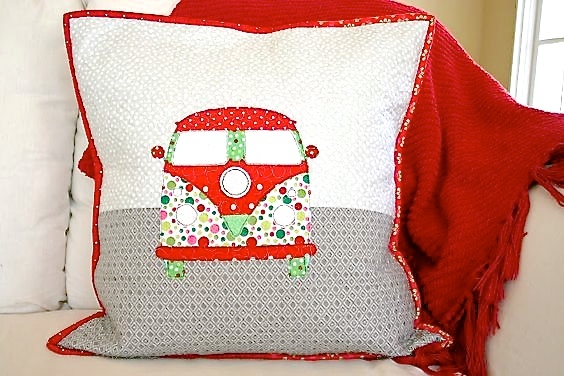 This pillow is a fun appliqué pattern and I posted my tips on how to make the tiny appliqué so much easier using freezer paper! 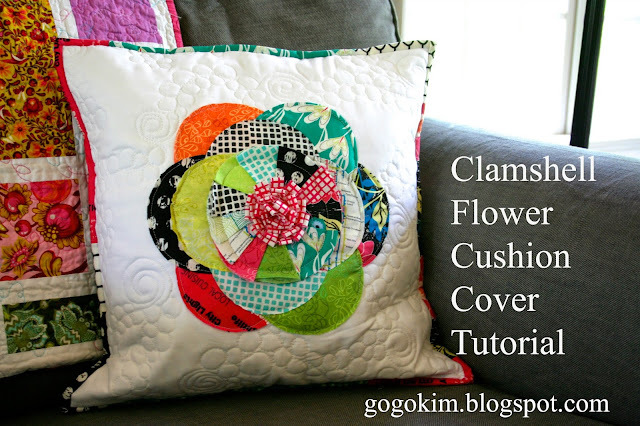 I also have a free tutorial for this fabulous Clamshell Flower Cushion Cover using an Accuquilt die or you can use this free template on Patternspot . It is super easy to make and looks fantastic! Thank you Pat :o) You are the inspiration for this post!!! !